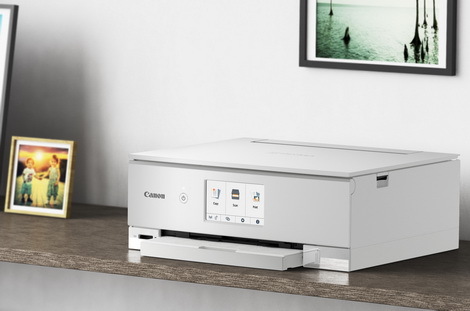 HONG KONG, 24 January 2019 - Canon today announces the new PIXMA TS707 high quality photo printer. It features a newly designed space-saving compact body to blend into any modern home decoration stylishly. The use of a 2-line LCD makes control easier and more intuitive. 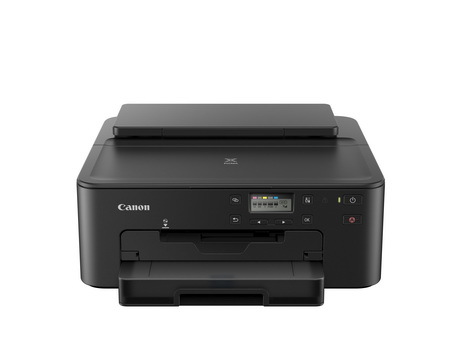 The new printer incorporates all-round mobile printing technologies including Cloud Print, AirPrint, Canon Print Service, PIXMA Cloud Link application and Canon Easy Photo Print Editor smart phone application, realizing an era of smart mobile printing which is more enjoyable and convenient! In particular, the printer supports new nail sticker printing for brilliant nail stickers DIY. PIXMA TS707 features with a new stylish black color and a redesigned printer body which is approximately 18% smaller than previous generation. It offers more flexibility in its location of placement. The printer is equipped with a 2-line LCD, supporting Traditional Chinese display for easy operation and status monitoring. With the multipurpose printing trap and the help of the Nail Sticker Creator for Canon mobile application, users can choose more than 100 built-in designs or photos that you like in the mobile to create beautiful nail art with ease. The printer also supports square size (5” x 5” & 3.5” x 3.5”) photo paper, 4R photo sticker, removable photo sticker and magnet photo sticker. The square size photo paper is for easy and direct printing of Instagram photos without any cropping needed, making it more convenient to create one-of-a-kind lifestyle photos. The 4R photo sticker is free cutting for different size. You can cut out according to a variety of interesting shapes for scrapbooking and DIY personal belongings. Incorporated with a wide array of mobile printing technologies, PIXMA TS707 brings extra convenience to users to print directly from smart phones and tablets, which are now handy tools for checking emails, photos, documents or researching on the internet. With AirPrint or Mopria™, or after installing the Canon Print Service plug-in, iOS and Android™ users can make direct wireless printing of emails, photos, documents or web pages from their mobile devices anytime over a Wi-Fi network, without the need to connect to a computer nor installation of any printer driver. It allows users to print photo directly from iOS or Android™ mobile devices via a Wi-Fi wireless network. After registering Cloud Print service for your printers, photos, documents and emails from your Google account can be sent to the printers remotely without the need of a computer, allowing easy printing with greater flexibility even when you are out. Users can enjoy direct access to a variety of online contents through Cloud technology. Without the need of a computer, users can perform remote printing of online contents such as Facebook albums as well as images, PDF files and documents from storage sites like Dropbox and Google Drive from mobile devices. 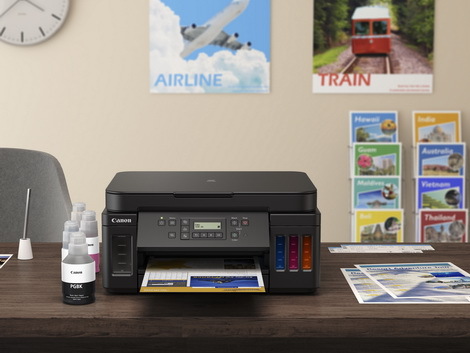 It allows direct wireless printing from mobile devices without router, streamlining device connection to facilitate easy and seamless printing. PIXMA TS707 adopts a 5-color individual ink tank system with photo black ink that sharply increases the overall contrast and gradation. A dedicated pigment-based black ink for B&W document printing is also included in the new printer to enhance text printing performance. Ink smearing problem on plain paper can be substantially reduced and sharp and clear text can be ensured. PIXMA TS707 features a paper cassette for 250 sheets of plain paper and a rear paper feeding tray that offers capacity of 100 sheets of A4 plain paper. The tray also supports a wide range of paper type and size such as envelope, Square and Card sizes. With both trays, different types of paper can be accommodated, allowing quick printing without the need to replace the papers. 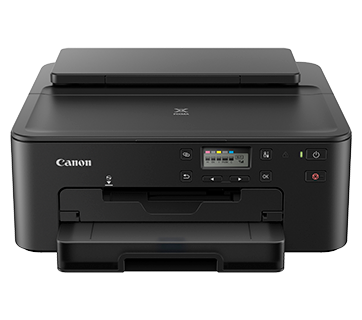 The printer features a built-in Wi-Fi 802.11b/g/n wireless network for network print function. With easy network setup, all family members can access to high quality print function of the printers from their computers or laptops. Over 300 Canon Photo Paper & Ink sales locations are located all over Hong Kong to provide you with easy one-stop service, including an extensive network of Original Ink Center (OIC) dealers located at various major chain stores and computer shops. Anytime and anywhere, purchasing genuine photo papers and ink has never been this easy and convenient! Simply check out and enjoy same day delivery with order over HK$200 and placed before 11am in Canon Online Store, please visit http://store.canon.com.hk for more details. The Canon’s new PIXMA TS707 high quality photo printer is now available for sale in Hong Kong with suggested retail prices of HK$1,088. All data is based on Canon's standard testing methods. Specifications are subject to change without notice.